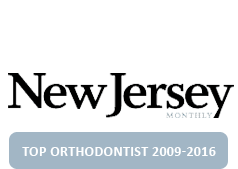 What Makes Caggiano Orthodontics Different? We understand the frustration you may experience when you are on time for an appointment only for the doctor to be late. At Caggiano Orthodontics, we make sure every appointment has a built-in buffer time so that every patient has ample time to speak with the doctor and not feel rushed. Additionally, appointments aren’t double booked or overlapping, so you can expect your appointment days to be disrupted as little as possible at Caggiano Orthodontics. Access to accelerated orthodontic treatment options is important if you have a big event on the horizon or simply want to be in braces for as little time as possible. Between AcceleDent, Propel, Invisalign, Damon Braces, and Caggiano Orthodontics advanced orthodontic process, you can expect to get your best smile up to 35% faster! While the team at Caggiano Orthodontics receives continual training in the advancement of orthodontics, they are also continually trained in providing top-notch customer service. 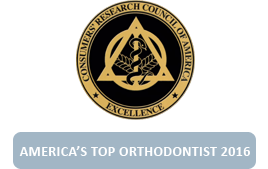 While quality of treatment, an array of options for braces and orthodontics, and timeliness of treatment may seem like the most important aspects to consider when choosing an orthodontist, customer service should also be among these. The team at Caggiano Orthodontics is truly like no other. If you are a patient of Caggiano Orthodontics, you qualify for our exclusive Caggiano Lifetime Warranty. No strings attached. If your teeth shift because you didn’t wear your retainer, because you lost your retainer, or for any other reason, don’t worry about it! Dr. Caggiano offers a lifetime warranty program on your orthodontic treatment. One of the first thoughts most people have when it comes to braces or Invisalign is that the treatment will cost a lot of money. When you consider the long-term benefits and problems that this can help avoid, however, you’ll find that it’s really an investment with incredible return for the rest of your life! Caggiano Orthodontics offers no hassle financing, 0% interest, low down payment options, and many other flexible payment options, to help insure that cost doesn’t stand in the way of you and your new smile! At Caggiano Orthodontics, we accept most insurances. You may even be surprised to find out that your insurance plan has at least some orthodontic treatment coverage! While cost should not be a primary concern for a smile that will truly change your life, insurance coverage certainly helps solidify the decision to get orthodontic treatment. Additionally, if we are considered out-of-network for your provider, we are glad to fill out the reimbursement paperwork and file it on your behalf. 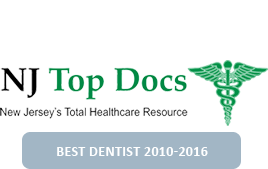 We absolutely love Dr. Caggiano and his staff and recommend them to anyone we know who is thinking about braces. My daughter just had her 1 month checkup after her braces were removed and we are so happy! Her smile is awesome and we are so grateful to Dr. Caggiano and his staff for their friendliness, compassion, and expertise. Wishing you continued success! 🙂 Many many thanks! I absolutely love this place. As an adult I was slightly uncomfortably about coming here to get my teeth fixed. But my nerves were immediately calmed upon entry. From the receptionist to the trained staff, every time I return I leave with a straighter smile and super happy with my choice. I absolutely love this place. The team at the desk are very welcoming and patient. I am new and needed guidance on how to sign in, where to stand, which way I was going, etc. The team was positive, supportive, and patient. The doctor and the support team were knowledgeable and patient with my questions. I never felt rushed or foolish for asking questions. Thank you for being a professional and positive experience for us. 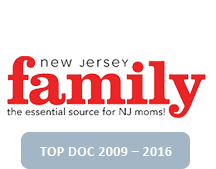 When Should Your Child See A Parsippany Orthodontist? 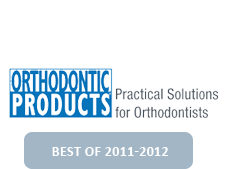 What Is Two-Phase Orthodontic Treatment?